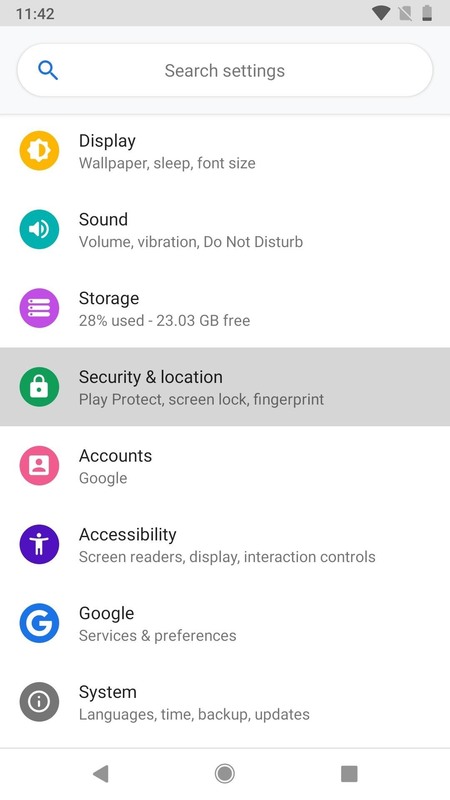 Following in iOS 11's footsteps, Android 9.0 Pie will include a security feature that lets you immediately disable the fingerprint scanner as well as extended Smart Lock features. After initiating the feature, you will be required to insert your PIN, pattern, or password before any other unlock methods will work again. This is a nice addition to Android since law enforcement officials, muggers, and other would-be assailants can force you or trick you into to unlocking your smartphone with your fingerprint, face, or voice. Or, someone with a similar face or voice can unlock your phone without your biometric signature. However, when it comes to law enforcement, they cannot legally make you enter a pattern, PIN, or password due to 5th Amendment rights. Apple's version requires you to either press two buttons together for a few seconds to trigger its lockdown mode (on newer iPhones) or click one button five times in a row (on older iPhones). Google's version is also very easy to trigger, however, it's not automatically enabled by default in Android Pie like Apple's is in iOS 11. 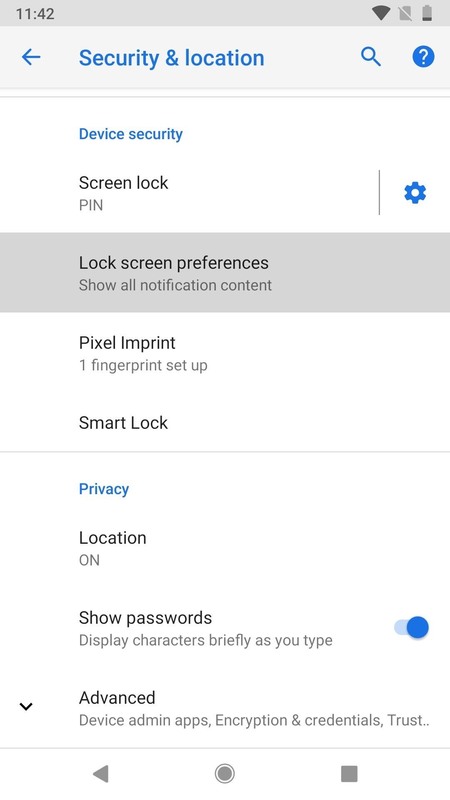 To unlock this new security feature in Android 9.0 on your Pixel, Pixel XL, Pixel 2, or Pixel 2 XL (the process is similar for partnered devices that can run Android Pie), you just go to "Security & location" in your Settings, then tap "Lock screen preferences" under Device security. Next, just make sure to toggle on "Show lockdown option," and you're all set. If you don't see this option, it's probably because you chose a swipe screen lock instead of a pattern, PIN, or password. Now, to actually use lockdown mode, just press-and-hold on your power button until the power menu comes up. This can be done from the home screen, lock screen, or within any app. 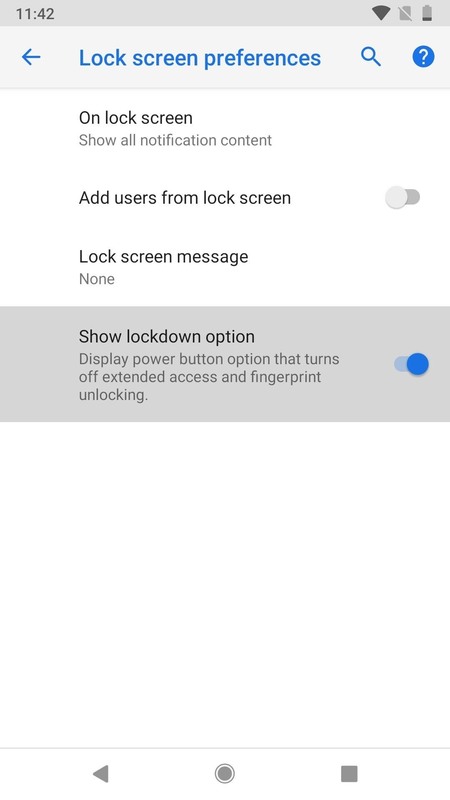 Next, just tap the "Enter lockdown" button or just "Lockdown," depending on what Android Pie version you're running, in the power menu. The next time you try to unlock your phone, you'll need to enter your pattern, PIN, or password first. 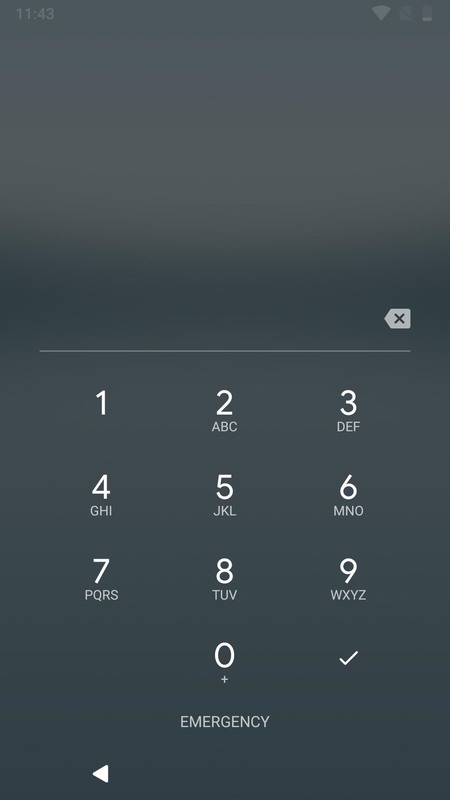 Once you've entered your pattern, PIN, or passcode, you can continue using your fingerprint or any Smart Lock options such as "Trusted face" or "Voice Match" to unlock your device on subsequent attempts, so you don't have to re-enable anything. 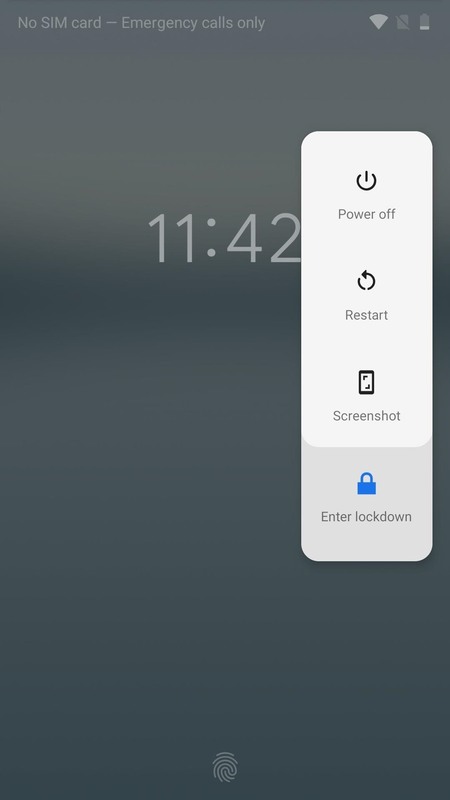 Previously, if you had Smart Lock features enabled, you could just tap the unlocked icon on the lock screen to disable them, but you could still unlock the phone with a fingerprint. This new lockdown mode disables all unlock methods aside from pattern, PIN, and passwords, keeping your data safer than ever before. With it being baked right into Android 9.0 Pie, other smartphones will get this feature too one day, and OEMs like Samsung and HTC could follow suit with their own versions of lockdown mode before Android Pie even hits other devices.